September 13th, 2013Will Technology Change How We Enjoy Sports? It’s no mystery that technology has advanced to such a stage that it’s utterly transformed aspects of our lives. Developments in satellite internet tech and mobile devices have been instrumental in these changes. And that’s in addition to advances in 4G and various mobile devices – pocket-sized smart phones and pencil-thin tablet devices – all inextricably woven into our day-to-day lives. Ease of access is the name of the game when it comes to the tech trade. It’s all about easy-to-access games, movies, shows, music, taxi services, travel agencies and, yes, easy-to-access content on all things sports. Technology has been especially kind to the sports fanatics. Want to keep up with your Fantasy Football league? There’s an app for your mobile device that handles that – there’s quite a few, actually. Interested in finding out what happened during last night’s game? There are plenty of outlets covering that including ESPN’s site and tons of sports blogs. Compared to the halcyon days where fans spent most of their time huddled around the radio, technology has certainly changed the way sports fans get their fix. Whereas, before, there were limited outlets for this sort of thing, there are dozens of ways – including the ones we mentioned earlier – fans can get instant gratification. Television technology has also advanced to a point where there are now specialized channels that let fans watch multiple games on one screen. 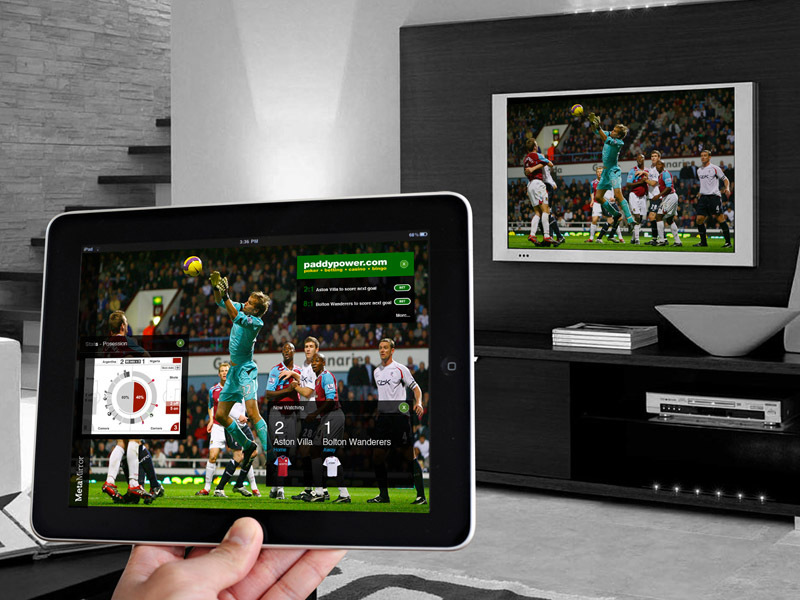 Technology has made sports fandom more convenient, but is there a downside to all this access? There used to be a time when diehard fans needed to actually engage in the hobby of following sports to stay informed. Tracking down newspapers, collecting cards, catching broadcasts, actually going to games in person – these were all things the super fans needed to do. What technology has ultimately done is change the experience – by changing the ways it can be obtained – and changing the dynamics of the sports fan overall. Ease of access comes back into play here and, nowadays, fans don’t really have to do a whole lot of digging to catch the highlights. Really, they don’t even need to watch the game when it’s on or physically show up – not when there is an extensive, technological sports infrastructure waiting to catch them when they fall. Granted, it hasn’t reached a point where watching actual games has gone out of style. However, with the way technology has leveled the playing field, watching sports is becoming less of an emotional and mental investment and more of a casual distraction. And if more and more fans are getting their sports info relayed to them by another party, it’s ultimately diminishing their perspective, experience and their overall fervor as sports fans. It really isn’t a matter of whether or not technology is changing the way we enjoy sports – it is. The real question is what kind of impact is all this convenience and instant access having on the fans. It’s a question of how the evolution of the fans might one day adversely change the world of sports as we know it.